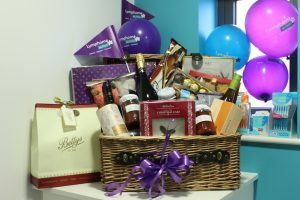 After last years success with our christmas hamper, we are holding another raffle this time for the worthwhile charity Lymphoma Action. We have chose this charity as Angela our Receptionist has recently had a close member of her family diagnosed with this condition. We are selling raffle tickets in the reception area at the practice. They are £2 a strip or £5 for 3 strips. Please feel free to call in and buy some, non registered patients are welcome to buy them also. 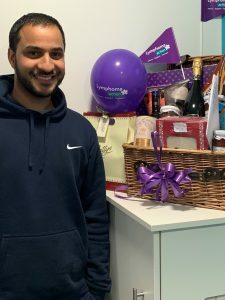 All donations have been kindly donated by the members of staff here at R Dental Clinic. The raffle will be drawn on Friday 21st December 2018, winner will be contacted by phone. The winner was drawn on Friday 21st December. 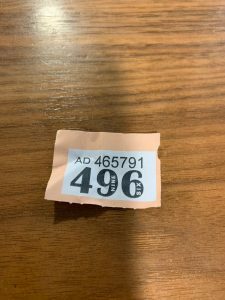 Well Done to Mr Rashid Ibrahim for winning, lucky ticket 496.